Callie is your local Ellenbrook Building Inspector. Callie holds a degree in law from the University of New England and post graduate certifications in commercial and property law. 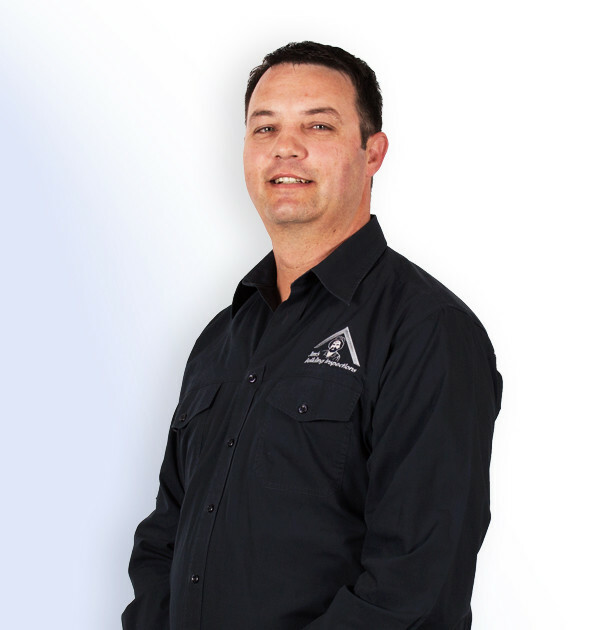 He has a NQF 5 qualification in real estate, is completing his Cert IV in Building and Construction and is certified to conduct asbestos assessments associated with removal. He started his career in the public service by reviewing and drafting ministerial memorandums and reports as well as dispute resolution. He qualified as a legal practitioner and moved into private practice as an associate and later as a practice owner. He developed an interest in business and property which lead to a career change into the property development and real estate industry. Callie managed and owned a successful real estate franchise and property development business for many years; which saw him carryout out property condition inspections to ensure properties were safe to rent. This allowed him to gain valuable experience in relation to property inspections. Callie’s duties also included property management for investment groups and serving as a trustee to several Strata Companies. Over the past 14 years, Callie has been actively involved in the subdivision of land, the building of strata units on subdivided land, the conduction of renovations for properties and property sales. His experience and knowledge of the challenges faced by property owners, buyers, investors, strata managers and renovators adds value to his services as a building inspector. Callie is also experienced in the drafting, reviewing and reporting on complex commercial issues and contracts; he has extensive knowledge of the drafting of applications for the change of the title and use of property. He has been married for 20 years and has two teenage children. He enjoys spending time with his supporting family, going to the beach, travelling across Australia, amateur photography and the outdoors.